Earlier today, Apple released its 2012 Supplier Responsibility Progress Report, an annual report that was supplemented for the first time by a public list of over 150 companies that supply components and manufacturing services to the company. We've just released our sixth annual update on conditions in Apple's supply chain, and I want to personally share some of the results with you. We insist that our manufacturing partners follow Apple's strict code of conduct, and to make sure they do, the Supplier Responsibility team led more than 200 audits at facilities throughout our supply chain last year. These audits make sure that working conditions are safe and just, and if a manufacturer won't live up to our standards, we stop working with them. Thanks to our supplier responsibility program, we've seen dramatic improvements in hiring practices by our suppliers. To prevent the use of underage labor, our team interviews workers, checks employment records and audits the age verification systems our suppliers use. These efforts have been very successful and, as a result, cases of underage labor were down sharply from last year. We found no underage workers at our final assembly suppliers, and we will not rest until the number is zero everywhere. We've also used our influence to substantially improve living conditions for the people who make our products. Apple set a new standard for suppliers who offer employee housing, to ensure that dormitories are comfortable and safe. To meet our requirements, many suppliers have renovated their dorms or built new ones altogether. Finding and correcting problems is not enough. Our team has built an ambitious training program to educate workers about Apple's code of conduct, workers' rights, and occupational health and safety. More than one million people know about these rights because they went to work for an Apple supplier. Additionally, Apple offers continuing education programs free of charge at many manufacturing sites in China. More than 60,000 workers have enrolled in classes to learn business, entrepreneurial skills or English. Finally, we are taking a big step today toward greater transparency and independent oversight of our supply chain by joining the Fair Labor Association. The FLA is a leading nonprofit organization dedicated to improving conditions for workers around the world, and we are the first technology company they've approved for membership. The FLA's auditing team will have direct access to our supply chain and they will report their findings independently on their website. No one in our industry is driving improvements for workers the way Apple is today. I encourage you to take some time to read more about these efforts, so that you can be as proud of Apple's contributions in this area as I am. The details are online now at apple.com/supplierresponsibility. Today has been a busy day on the environmental responsibility and worker rights fronts for Apple, with the company also announcing a partnership with the Fair Labor Association to monitor conditions at suppliers' facilities and an expanded recycling program in the UK, Germany, and France. News also surfaced today regarding Apple's efforts to transition to halogen-free power and USB cables for its products. Not sure why it took until Tim Cook was CEO to do this, but good on them. Because Steve Jobs never caved into the "bragging" mindset that all expect. He knew Apple was doing the right thing and that's all that mattered to him. This is what infuriated Green Peace the most - that Steve Jobs never gave them what they wanted... an environmental roadmap, which is how Green Peace rates companies; not on what they do, but what they promise to do whether they do it or not, which seems really stupid. I think being the former "supply guy," Tim Cook is more in tune with what's expected and more willing to be transparent about it, especially since he's the one that made it happen. Or you could take some of those billions of dollars you're sitting on and those new billions of dollars in profits you make and work with suppliers to open some factories in the US. Good to see Tim caring about human atrocities, unlike his predecessor. They may have just joined the FLA, but Apple has been doing supplier responsibility reports since 2007. I don't think it took Tim to become CEO to do this. These programs were most likely in place already, just not used for PR. Impossible that even under Jobs Apple wouldn't monitor its suppliers. Apple is too smart for that. I'm liking all of the communications we've seen from Tim, he seems like a great guy to lead Apple. They've just done their sixth annual update on conditions in Apple's supply chain. Tim Cook became CEO this year. Something that irks me after reading the WSJ article and comments is the lack of mention that these reports are annual and have been going on since 2007. The first sentence of the WSJ article implies that, along with the supplier list, this is the first time Apple has released such a report. The comments made by several readers there also suggest that these folks think this is the first time Apple have conducted these audits and so, of course, assume it's all down to pressure due to the recent Foxxconn employee conditions reports. The only difference between this report and last year's is that this one is more thorough. Much in the same way as the only difference between the 2011 and 2010 reports is that the 2011 report was more thorough. It's frustrating that this wasn't communicated in - what I've been led to believe is - a high-profile newspaper. Bottom line, everyone knows these factory managers change everything up when the auditers come through. What good is an audit if everybody knows and management puts on a huge dog and pony show? I seriously doubt this is for PR. Rather, I say three cheers to Tim Cook for proving he is bringing Apple back in balance. Although I'm sure it's true that this has been in the works for some time, Tim is the one that made sure to make it public. He's the one that will take Apple's reputation & polish it further. Demonstrating that Apple does care and is determined to be less secretive. Everything about this bodes well for Apples image. Reading this, instead of another announcement about some wiz-bang product that's going to change the world, is the best predictor of a solid future as Cook brings Apple the balance many have missed. I don't think anything different is going on today compared to years past. Here's a MacRumors article from two years ago, Feb 2010. It talks about Apple publishing the Supplier Responsibility Progress Report on the front page of their website. Apple is making it public today just as much as they made it public in years past. Here's something to give a glimpse of SJ's thoughts on this matter. TC echoed those thoughts, and appears to be following the same philosophy today. From http://www.appleinsider.com/articles/10/02/27/apple_taken_to_task_for_reporting_partners_child_labor_violations.html , again Feb 2010. "During most of our audits," the report said, "suppliers stated that Apple was the only company that had ever audited their facility for supplier responsibility." 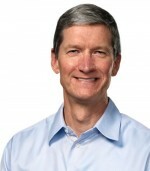 Apple chief operations officer Tim Cook repeated that fact on stage at the company's shareholder meeting, but insisted that the company doesn't need to trumpet its vanguard position in pushing overseas companies to achieve higher standards in human rights, train their employees to be aware of their rights, and maintain safe working conditions. Cook said Apple does this not for media attention, but "because it is the right thing to do." Chief executive Steve Jobs echoed the same sentiments, passionately arguing that the media and environmental groups have ignored the real issues to focus mainly on what promises companies were making, even though many companies do not actually meet their promised goals. Apple, Jobs said, was focused on actually achieving results. By taking real action ranging from reducing its product packaging, increasing efficiency and enhancing recyclability, to auditing its own facilities and supplying partners' factories, to publishing details on the environmental footprint of its products, Apple is pioneering social responsibility in a way that customers will see for themselves and support, Jobs maintained.